Galleries across Africa tend to be thought of as sterile and exclusive spaces run by dread-locked men, who dabble in paint and spend their days musing on Pablo Picasso’s great artworks. Which is a gross misconception, just like all labels. Several national galleries across the continent are manned by sophisticated female artists, whose passion for art transcends gender, time and cultural barriers. Mrs Doreen Sibanda is one such woman who has dedicated her life in marketing local artworks and looking at ways to improve the life of visual artists. 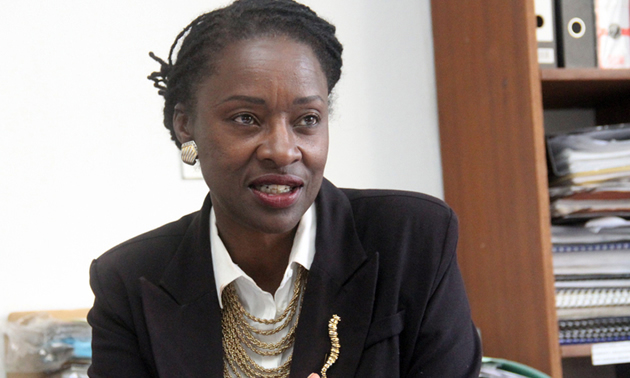 She is the executive director of the National Gallery of Zimbabwe, a position she has held for more than a decade. “I love art. It’s a passion I have always held when I was a little girl, barely in school,” she revealed in an interview recently. The full length biography of Mrs Sibanda reveals a driven, passionate artist, who has lived her way around art: hers and that of millions of people across the world. She regards the genre as a strong medium of communication. Apart from her involvement with administrative issues, Mrs Sibanda is an acclaimed painter who has exhibited her works in different countries across the world as well as a curator. She was the co-curator of an exhibition titled “Prominent Personalities: Portraits of Zimbabwe”, held in celebration of people who have made significant contributions to Zimbabwe’s history in the past and present. “Being an artist, is not something that happened by accident. My passion was in art and design even though my parents were strongly against it,” she recalls. Her Jamaican parents, who lived in the UK, wanted her to become a teacher, because art seemed too open-ended and did not offer any guarantee of a proper profession. Determined to become an artist, Mrs Sibanda eventually compromised with her parents that she would train as an arts teacher instead. When she completed her training, she started working on her art portfolio and her talent in mix media did not go unnoticed. Because of her exceptional touch in the use of different paints and material in her work, Mrs Sibanda who was then domiciled in the UK, was invited to showcase her artworks at different exhibitions. “I exhibited in several countries including Russia, Sweden, Czech Republic including Zimbabwe and I immediately fell in love with the country,” she enthused. She came to Zimbabwe and joined the National Gallery of Zimbabwe, where she worked between 1981 and 1988. She left the country and returned in 2004, to assume the post of executive director at the gallery. Despite her passion for art, Mrs Sibanda decided to take up an administrative post, after realising that she could not juggle both her personal life and the full dictates of art. It is that demand for balance in one’s social and professional life that has seen only a handful of female artists turning professional. “Society boasts of talented female artists who can excel anywhere, but they are usually confronted by social challenges that draw them back. It is difficult to be a serious experimenting artist and attend to other societal roles. “For one to be successful and make a living out of it, they have to be engaged in art full time. It does require singular devotion, and unfortunately for some women it becomes too demanding, especially when they have families, husbands and children to look after,” she said. Mrs Sibanda added that some women feel that they are not exceptionally endowed with artistic excellence and therefore branch off into related areas. “Most people that work in the arts sector but are not at the coal face as it were are often ‘failed’ artists, or feel that they are better able to summon other skills sets that enable them to remain in the field, but perhaps at a less personally and emotionally demanding way. She, however, believes that art is a serious profession that can be rewarding locally and internationally if artists commit their time to creating good portfolios. Unlike a few decades ago, where the words “starving”, and “artist” used to fit together, this is no longer the case, because of the emergence of different media, where art is now a crucial component and is highly paying. “We now have more outlets than there were before. The emergence of new media has created opportunities, where visual literacy is now a requirement,” she said. A wife, mother and doting grandmother, Mrs Sibanda spends her time attending to her home and her environment.